The Creative Strategist/Graphic Designer is a key role within Kitestring. We expect that they will execute brand ideation and development, as well as the production of advertising materials that are consistent with the agreed strategy and work closely with the team to come up with the best possible creative solutions for that job. It is also the responsibility of the Creative Strategist/Graphic Designer to produce bold, strategic and persuasive products in all media for our clients and complies with quality standards for the team. The ideal candidate will share our collective values of Heart, Wisdom, Craft, Joy, and Sparkle. Wondering if that’s you? Well for starters, you’re all heart. You’ll be a kind and compassionate member of our work family. You’re also wise beyond your years. You know when clear trumps clever. That’s why you’re a craftsperson. You’re always eager to learn more in order to further develop your passion. It’s that curiously creative spirit that helps you find the joy in every task. Last, but not least, you sparkle. You’re not just brilliant, you’re authentic…and we can’t wait to meet you! The position is a one year contract, with the hopes for full-time engagement. Leading creative development for projects including brand, campaigns, print and digital. Build relationships with appropriate agency team members to ensure a seamless workflow of client projects. Overseeing brand consistency and quality across production. Ensuring deliverables are met in a timely manner. Coaching junior creative team members. Works productively and harmoniously as a teammate with strategists, copywriters and production designers who share the responsibility on the given assignment. Presents concepts to other departments if necessary and revises concepts according to comments. Active participation in client presentations. Updates recommendations based on any client comments and shares approved recommendations with all departments. Meets with project management and client services team to review work in progress and management of production. Submits work to senior leadership for review and approval. Prepares final artwork files for the client and ensures a seamless hand-off. Assists in building internal marketing tools and content for our continued promotion. Infuse our collective values of Joy, Heart, Wisdom, Sparkle and Craft into each project, interaction and workday. Post Secondary Education – Degree or certificate/diploma in Art Direction and/or Graphic Design. 3+ years of experience within digital and print marketing or a comparable industry. Must have experience with brand and campaign development. An interesting portfolio showcasing a variety of work and styles. Extensive knowledge of Adobe InDesign, Illustrator and Photoshop. Self-motivated individual, exceptional time management and organizational skills. Demonstrated judgment and imagination for the creation and arrangement of the visual elements of an advertisement. Experience with online content (websites, email, interactive tools, search). Experience in emerging platforms (mobile, tablets, etc) is a plus. Must include your favourite thing about winter in your email to us. Capable of juggling multiple projects, sticking to deadlines and ensuring high-quality error-free output. Understanding and demonstrated usage of accessibility guidelines. 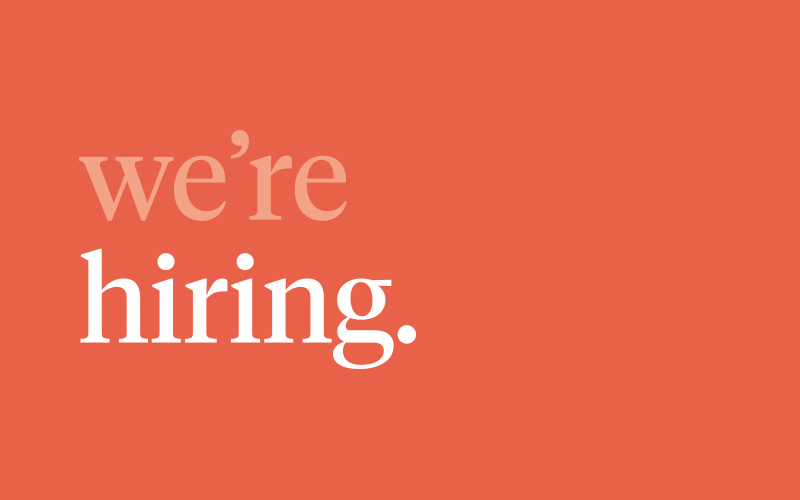 If you are a qualified Creative Strategist/Graphic Designer and are intrigued by joining a small, action-packed agency, we would love to hear from you. Kitestring offers a great work environment, amazing opportunities, and focus on work/life balance. We truly appreciate everyone’s interest but only those selected for an interview will be contacted.